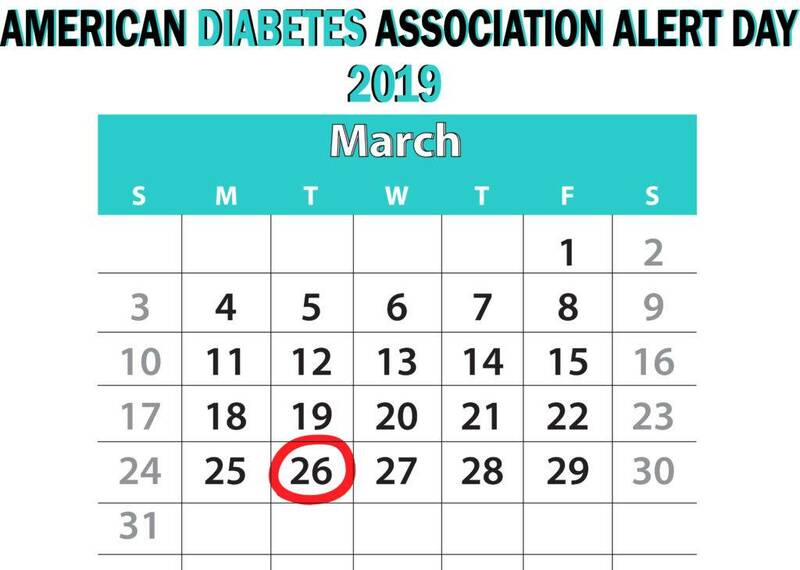 American Diabetes Association Alert Day is observed every year on the 4th Tuesday of March, which this year falls on the 26th! It is a day dedicated to raising awareness about type 2 diabetes that develops in adults, and encouraging people to take the Diabetes Risk Test online which can also be found on the Association’s Facebook page: https://www.facebook.com/AmericanDiabetesAssociation along with other useful information. This fast and simple test takes about a minute to complete and for each one taken from March 26 through April 9, the delicatessen company Boar’s Head will donate $5 (up to $50, 000) to the American Diabetes Association, which makes taking the test and spreading the word on social media a worthy cause! Learn more about American Diabetes Alert Day here.